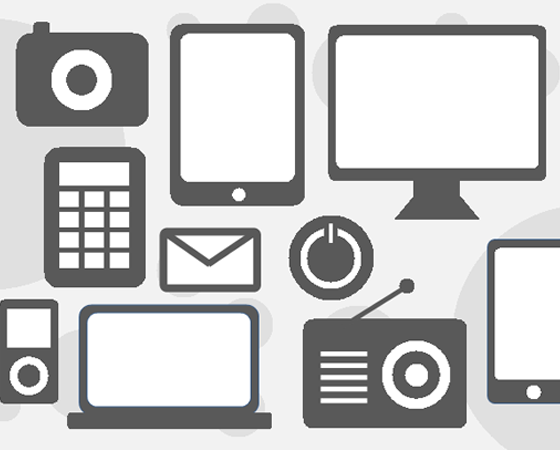 Icons are a handy asset for e-learning designers to have on hand. They’re a great way to represent visual content to your learners. And, since they're small and compact, they don't take much valuable slide real estate. An icon set is also an easy way to pull together the look and feel of your course for a unified look. When you break them down, icons are simply assembled from shapes; that’s exactly how these icon sets were created. In a new Articulate Storyline 2 project, I used shapes to create my technology-themed graphics. The camera icon is created with two rectangles and a donut shape. Simply put the shapes in place and group them together by selecting them and right-clicking, then choosing the Group option. And voila! You’ve created an icon set that can easily be modified and re-colored. Now, you can quickly and easily take this to the next level and create a PNG icon set that can be used in other applications as well. How? First, I re-colored all my icons to dark grey to make them all match, so they seem more like a unified set. Then, right-click on a group of shapes and choose the “Save as Picture” option from the menu. Then, save your image as a PNG file to ensure you get the transparent background that you want behind the icon. That’s how easy it is to create your own custom and re-usable icon sets in Storyline 2. 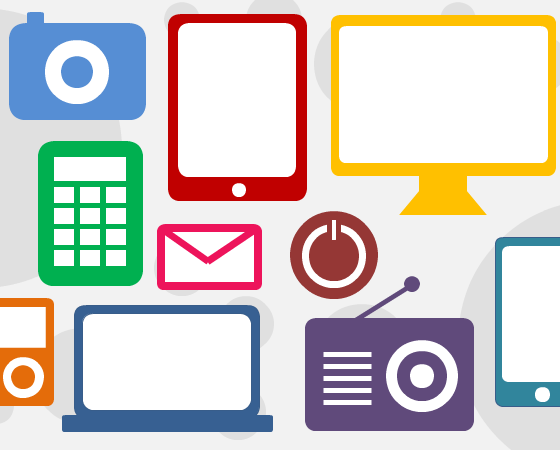 Do you have any tips of your own for using icons in e-learning? If you do, please leave a comment below. If you want to try something you learned here, but don't have Articulate software, you can download a free 30-day trial. Remember come back to E-learning Heroes regularly for more helpful advice on everything related to e-learning! Great share Nicole! I love how versatile shapes are. You can do practically anything with them! Thanks Jeff! I agree - they are so versatile! Congratulations Nicole for creativity ! Thanks Ionut! Glad you enjoy these! Thank you for sharing! Sometimes I tend to overcomplicate things and forget how easy it can be! Thanks for the great comment, Erica! These are truly super quick to create. Quick tip: I often do a Google images search, of, for example "icon set" and then get ideas from what I see!